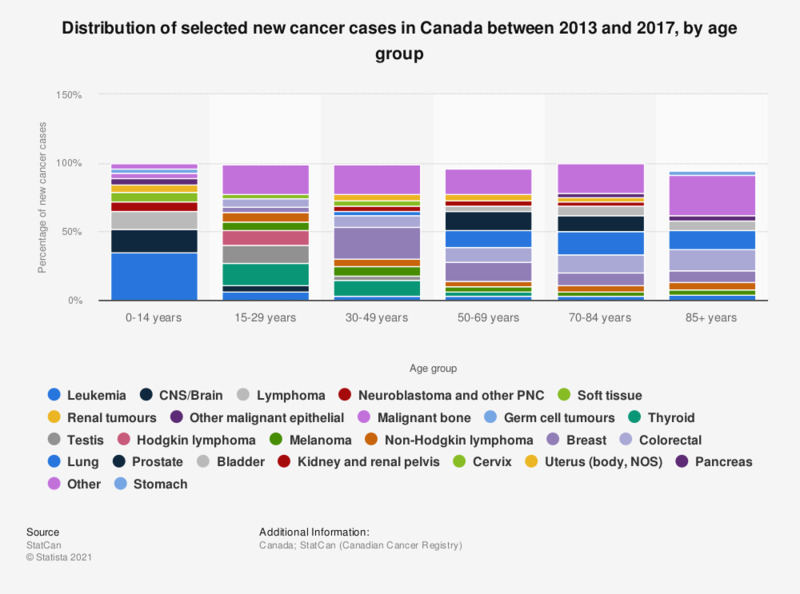 This statistic displays the distribution of new cancer cases in Canada by select types of cancer and by age group, between 2009 and 2013. During this period, six percent of cancer cases among 15-29 year olds were due to leukemia. Cancers in children (ages 0–14 years) are classified according to ICCC-3.